Varsity boys volleyball triumphed in a dramatic home game against the San Marino Titans on March 7, exciting the audience with a 3-1 win. SG took the lead in the first set with their hits bouncing off San Marinos’ arms as the Titans ran desperately to save shanked balls. However, it did not take long before the Titans began to dominate, leaving SG desperate to regain their lead. Points spread out, and no team managed to gain a significant amount in a row as the ball hit the floor on both sides of the court. Eventually San Marino pulled ahead and wrapped up the first set quickly, managing a 25-19 success. Having suffered defeat in the first set, the Matadors fought for victory in the second. A Titan ascended into the air, arm raised over the net and smacked the ball down with a loud snap, but senior Jerry Tran rushed to save the play and passed it safely to the setter. 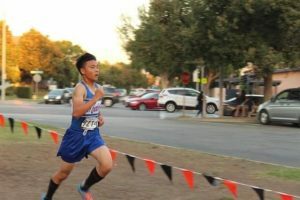 With high sets placed perfectly for hitting, senior Sammy Nguyen jumped up, found an empty space to hit the ball, and left the Titans sprawled out on the floor. Afterwards, the ball flew back and forth, with neither team willing to lose the second set. 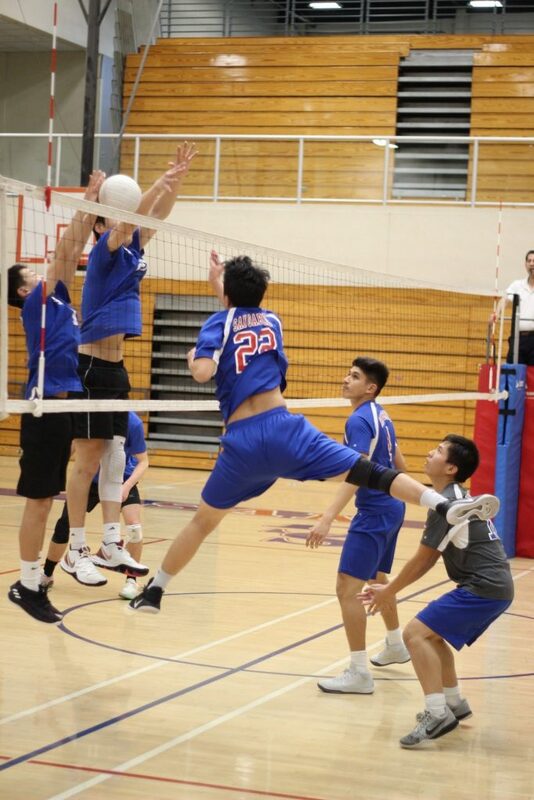 In a triumphant end, senior middle blocker Humberto Rivera leaped into the air and struck the ball, bouncing off a Titan’s face and effectively earning the game point, causing SG to beat San Marino in the second set 25-17. Once again dominating the beginning of a set, the Matadors won five points, an encouraging start for the third set. At this time, both teams had won a set and needed two more sets to win the game. The Titans refused to back down, blocking hits and developing rallies that had SG scrambling for the ball. Each play challenged the teams as hitters faced off at the net. 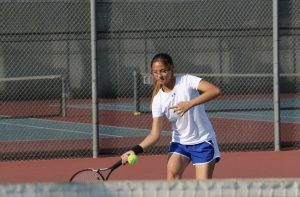 In one instance, Nguyen meant to tip the ball softly into the court where no players resided, but ended up facing off against a Titan who was determined to block the ball. The ball hung in the air between the players’ hands before slipping past San Marino and rolling to the floor. Even closer in points than the last set, SG defeated San Marino 25-21. The Matadors needed to win one more set — the Titans, two. The score went back and forth, with neither team managing to pull far ahead. Nearing the end of the set, the Matadors scored four points consecutively, giving them a two point lead. On their last point SG served the ball, and it went sailing over the net. Quickly received by San Marino, the ball soared high into the air and was hit down against the Matadors, who rushed to save the ball. Finally delivered to front row, Ma leaped into the air and smacked the ball, which hit the floor with a loud bang, leading SG to a 25-22 victory. The Matadors conquered the Titans 3-1, leading SG to triumph over the win, and the team expects to win every league game while earning their chance for CIF.